Terrestrial Footprints Part 2 (Creation Story) (#TFP2) is an evening-length premiere choreographed and performed by Cherie Hill IrieDance with artists Emmeline Gonzalez-Beban, Andreina Maldonado, Hope McManus, and Rose Rothfeder featuring live dub music by Brizion Dubwize. 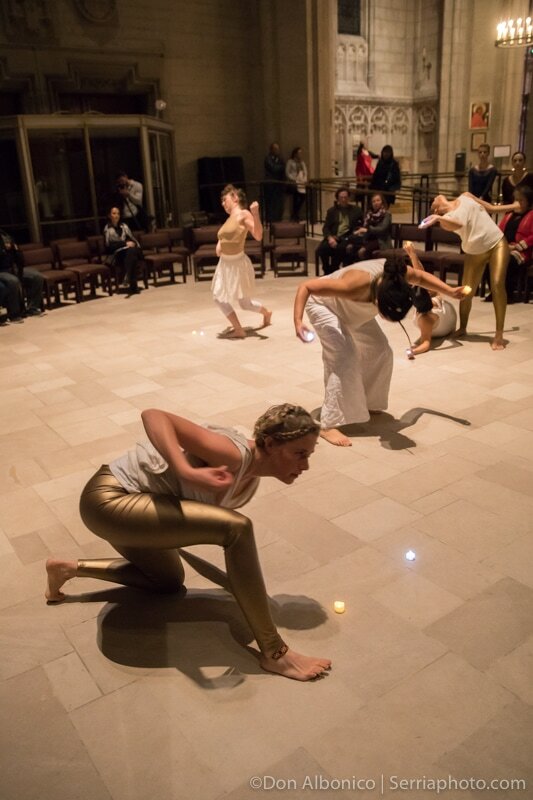 ​Moving through vortexes, glitches, and the space between time, TFP2 tells the story of five female constellations and their descent to earth. 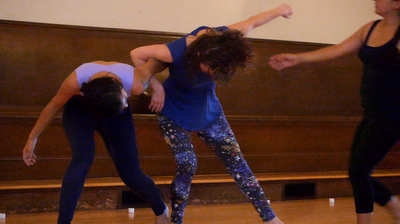 Choreography focuses on sound effects found in dub reggae music, vibration and reverberation, echo, time-lapse, and abstraction. Cherie Hill began choreographing to dub music in 2011 after attending her first full soundsystem event at the USA Roots Reggae Dub Expo. The driving beats, pleasantly distorted effects, and booming bass that called for earthy, pulsating dance caused her body to explode, and she immediately began to improvise and choreograph to dub rhythms. 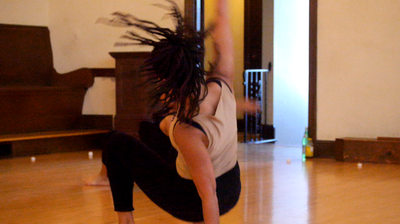 In 2012 she started Dub Dance Project; a series of site-specific dance videos, and performed Dub Dance Live at the Black Choreographer’s Festival. 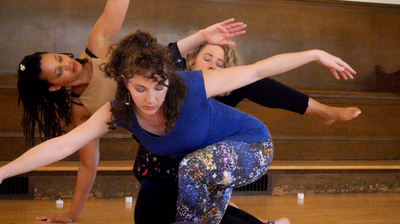 Terrestrial Footprints premiered in Oakland June 2015 with TFP2 dancers and dub music created by Brizion, rearranged by Peter Lionheart. Hill's experiment with contemporary dance, African aesthetics, and improvisation continues with TFP2, a prequel to the first. This works soars deep into the essences of dub sounds and music, a hybrid of African/Caribbean/European influences, and replicates sound effects on the dancing body through a feminist lens. Hill exclaims, "I see the potential of this music to display emotions, celestial awakenings, and heightened consciousness ...as an artist I am eager to tap into its power for storytelling and abstraction." Cherie and dancers will host a Q & A session following Friday night's opening performance. 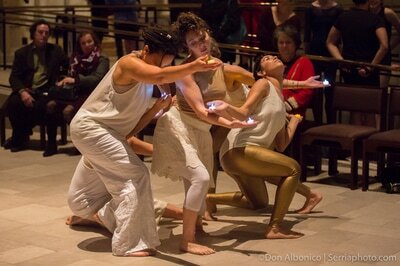 Photos in gold by Don Albonico @San Francisco Movement Arts Festival, Grace Cathedral. TFP2 is supported by the Clorox Company Arts Mini-Grant and sponsored by MeloMelo Kava Bar.